We are delighted to announce that Emily Willey (BA Art & History of Art) has been selected for the fourth Platform Graduate Award 2015. The award is part of a partnership between University of Reading and Museum of Art Oxford. 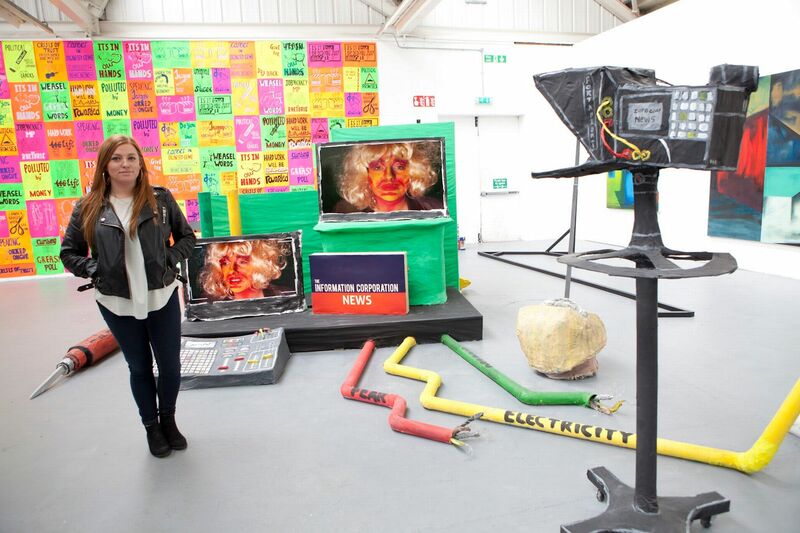 Emily was selected from Degree Show 2015 for her critical look at how broadcast news shapes public opinion. Under the guise of Information Corporation, a ficitonal news channel, Emily presents video installations that respond to “complex and chaotic new events, political ideologies and social unrest, edited and performed as simple narratives”. She will present an exhibition, as part of the Platform Award at Modern Art Oxford in the Autumn. Created to support new artistic talent in the South East region, this year Platform supports graduates from the University of Reading, Oxford Brookes University and the Ruskin School of Art. An initiative of CVAN South East, the Platform Award was created in 2012 to support new artistic talent in the South East region. It provides a much needed helping hand to artists embarking upon their professional careers. Participating galleries include Aspex, Portsmouth; Modern Art Oxford; MK Gallery, Milton Keynes and Turner Contemporary, Margate. 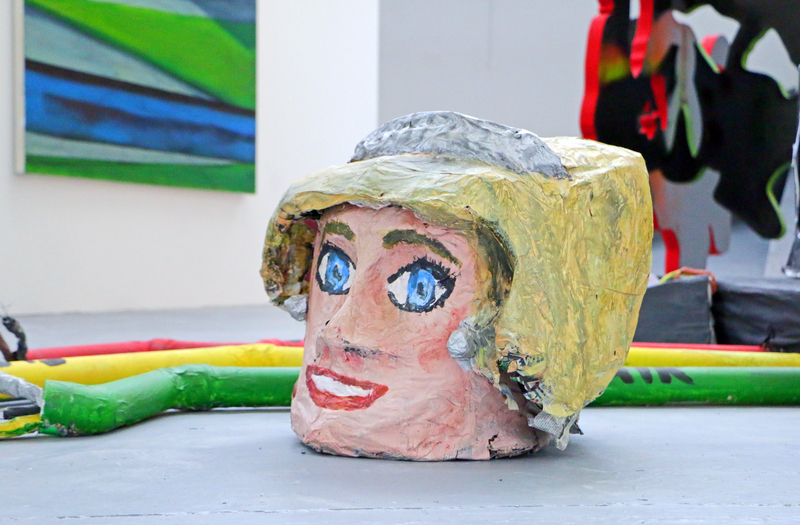 Curatorial and learning staff from the four participating galleries select from degree shows at their local art colleges – choosing from across a range of mediums – and offer graduates the chance to be included in the Platform exhibitions. This includes working closely with gallery staff at every stage of the process and, in doing so, the graduates gain valuable skills and insight into what it takes to work as a professional artist. Inclusion in the exhibitions also means that they are eligible for the Platform Award – a bursary and a 12-month bespoke programme of professional development. Interim Video take 3 from The Information Corporation on Vimeo.